The collegiate church of Our Lady of the Old Chapel in Regensburg can look back over a history that has lasted over 1,000 years. In the 19th century it made musical history – under the auspices of three canons, Carl Proske, Johann Georg Mettenleiter and Michael Haller a centre for the rediscovery of "old" church music came into being, focussing in particular on the style of Palestrina. During this period the Old Chapel became one of the most significant domains of what was called "Cecilianism". Fully in tune with this reform movement in the realm of church music, many of the old masters that were compiled by Carl Proske were already being performed there, long before the neighbouring Regensburg Cathedral decided to adopt the a-cappella practice that eventually led to the development of a genuine "Regensburg Tradition" in vocal polyphony. This CD documents the revival of this tradition that took place during the tenure of musical director, Prof. Josef Kohlhäufl. In a series of first recordings you will hear outstanding testimonies to the various phases of the rediscovery of Palestrina: among others, the Missa Nos autem gloriari by Palestrina's master pupil Francesco Suriano, along with such works as Missa de Beata Virgine by Suriano's German successor to Palestrina Gregor Aichinger and motets by Michael Haller, the so-called "Palestrina of the 19th Century". 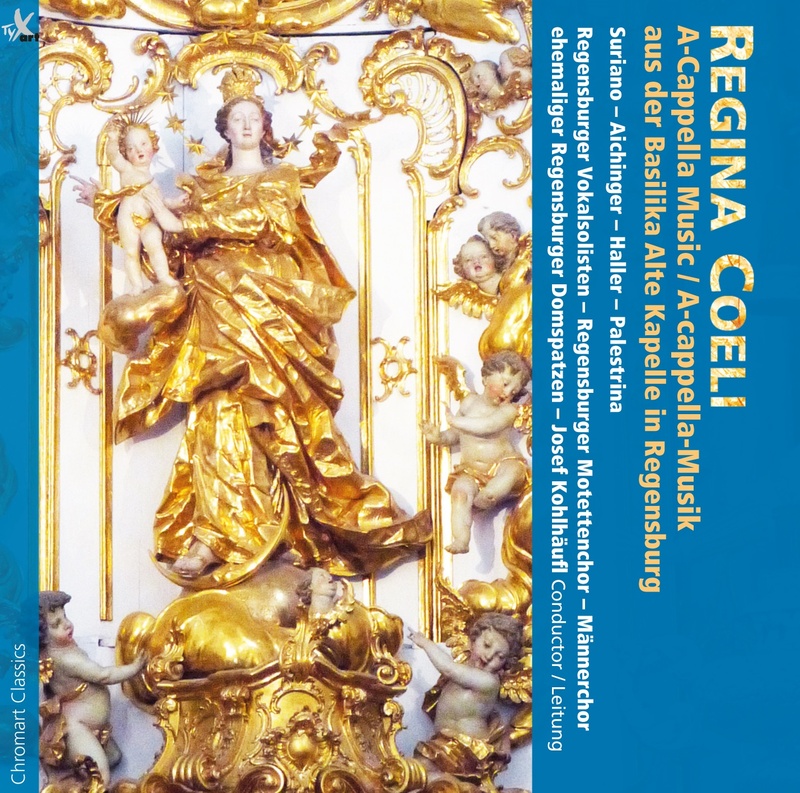 Furthermore the CD also contains Aichinger's probably best known a-cappella piece, Regina Coeli, as well as some of his Songs of Our Lady and Pentecostal motets. There is also a small selection from Haller's liturgical and widely popular works such as the motets Laudes Eucharisticae, in particular his famous Coenantibus, as well as his Easter piece Surrexit pastor bonus. The CD was recorded by the Regensburg Motet Choir, as well as the Regensburg Vocal Soloists Ensemble. Last but not least, you will also hear a piece by the great role model Giovanni Pierluigi da Palestrina – the Credo of his Missa sine nomine for male voice choir, sung by the Men's Choir of former Regensburg Domspatzen. The director of this ensemble, Josef Kohlhäufl, was musical director at the basilica of Our Lady of the Old Chapel in Regensburg from 1984 to 2011. The recordings you are about to listen to document the excellent quality of church music that was attained during Kohlhäufl's tenure. In 2006 Kohlhäufl initiated the "Pope Benedict Organ" project, the planning and execution of which he was to a great extent responsible for and in 2011 he was appointed honorary Stiftskapellmeister (music director of the basilica) of the Old Chapel in Regensburg. Right up until the present day he directs the Choral Schola of the former members of the Regensburg Domspatzen Cathedral Choir, whose interpretation of Gregorian Chants is also documented on the CD Cantate Canticum Novum - Gregorian Chants for the Liturgical Year.